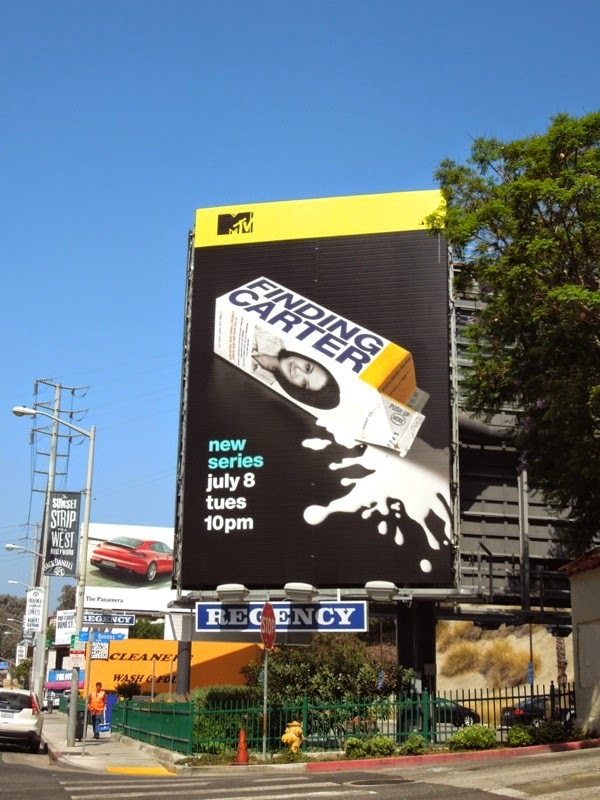 With its clever milk carton visual you instantly know that MTV's Finding Carter series is going to be about a missing child in some way or another. 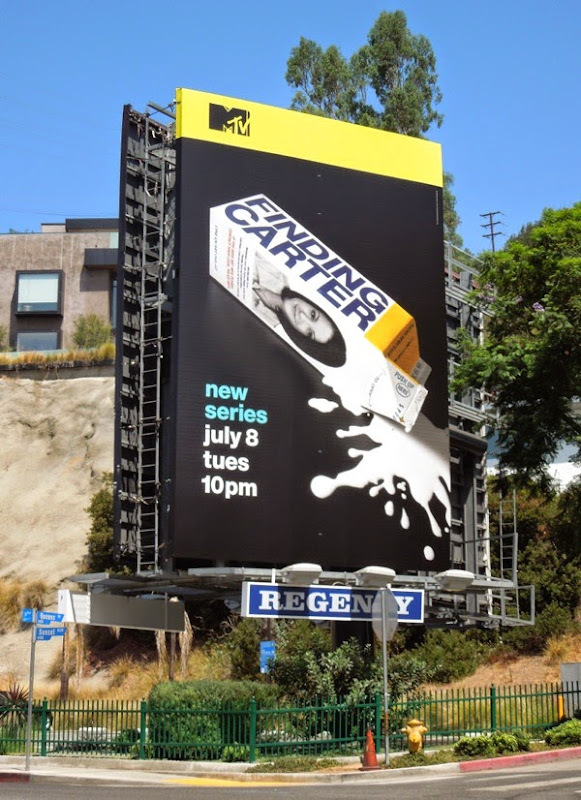 In this new drama, Kathryn Prescott stars as the titular teenage 'Carter', who think she has the perfect life until one night she discovers that the woman she thought was her biological mother abducted her when she was a toddler (hence the instantly recognisable concept of the milk carton ad creative). Did you know that the milk-carton campaigns of the 1980's were started with the disappearance of six year old boy, Etan Patz, in Lower Manhattan, New York City in 1979 and he was the first ever missing child to be featured on the side of a milk carton. 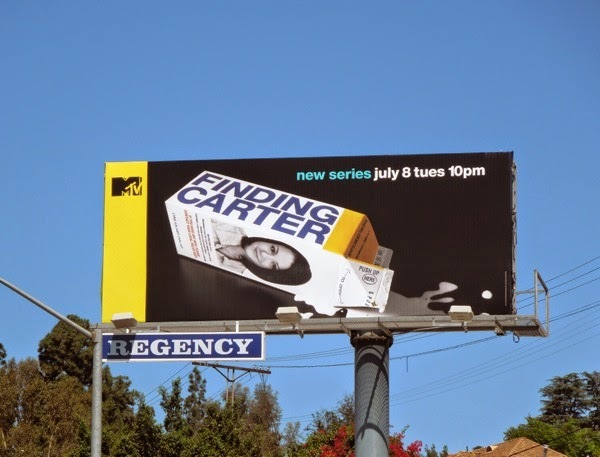 This Finding Carter series premiere billboard was first spied along Sunset Boulevard in West Hollywood on July 2, 2014 and for more cool ads, be sure to also check out these other MTV billboards. 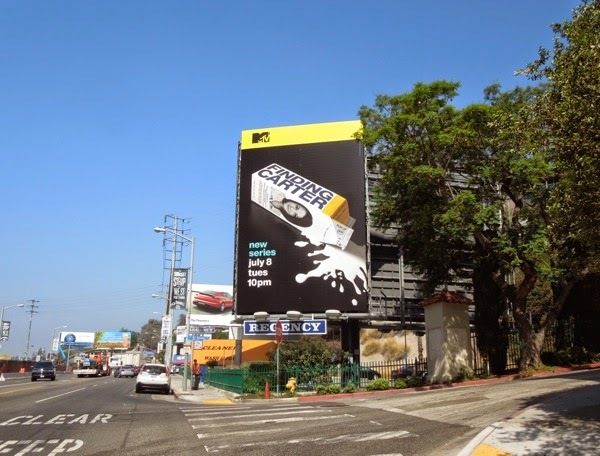 UPDATED: Here's also the landscape version of the ad creative which works equally well and was spied further west along the Sunset Strip on July 11, 2014. 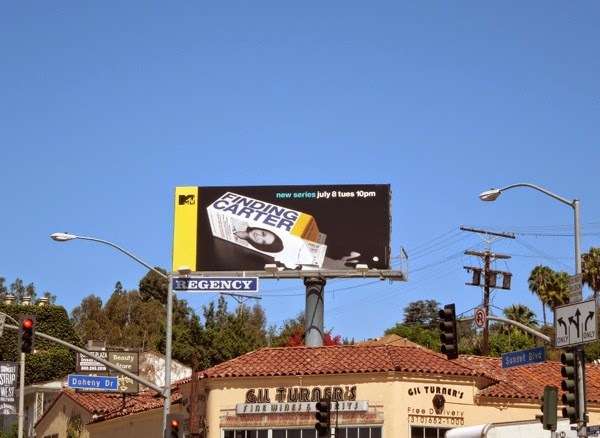 Design by Mirko Ilic Corp. NY. 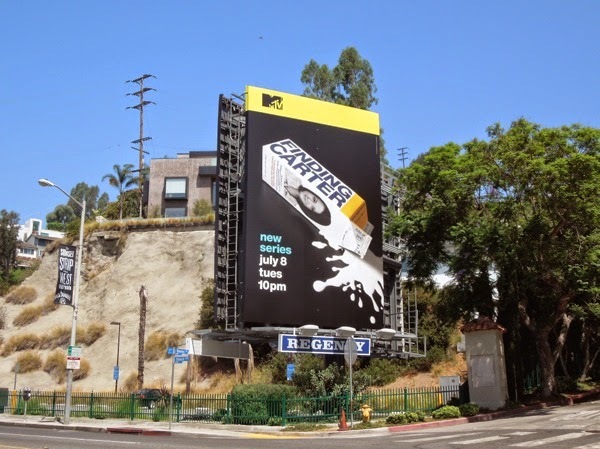 Thanks for letting us know who designed this key art!